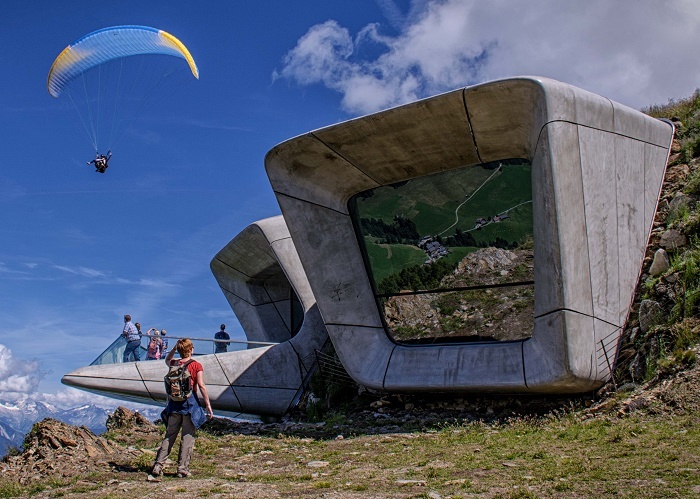 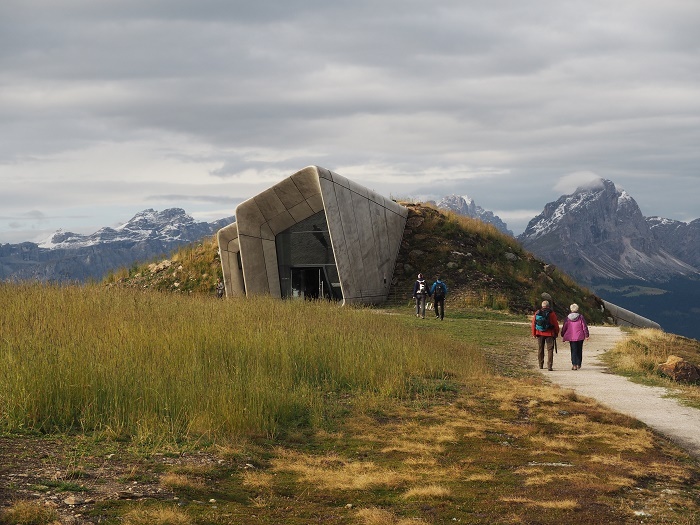 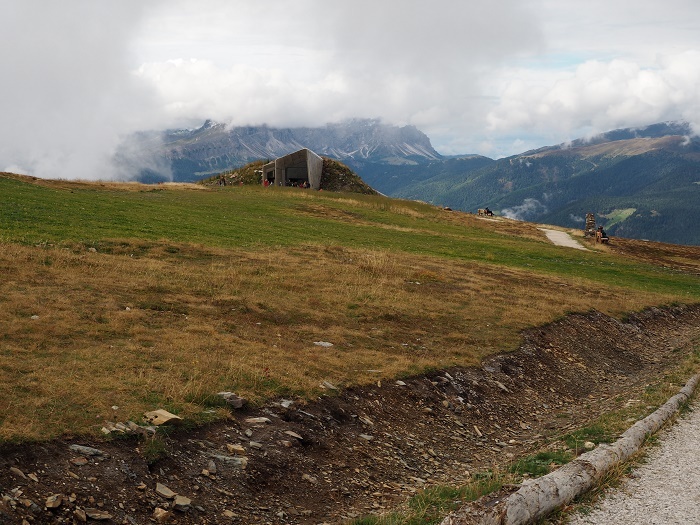 The MMM Corones, otherwise known as Messner Mountain Museum – Corones, is the last museum of the MMM museum network, that is located atop the Kronplatz Mountain, which is part of the Dolomites mountain range, in the autonomous province of South Tyrol, within the Italian Republic. 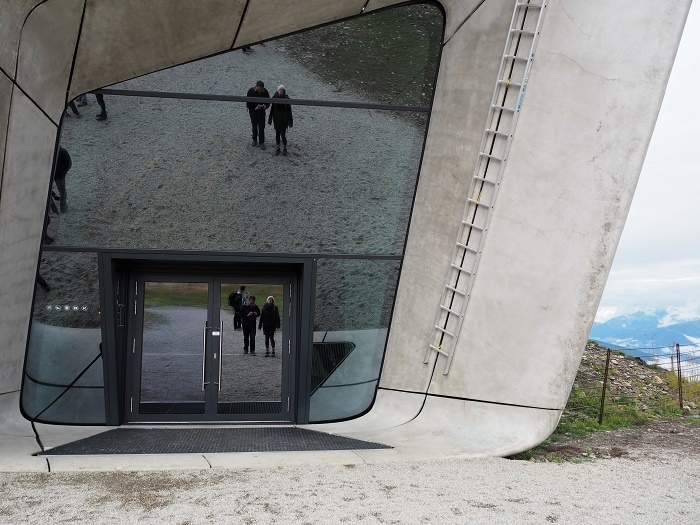 Being the sixth museum of the network that is dedicated to traditional mountaineering and the mountain’s history, which has strongly influenced by the Italian mountaineer, adventurer, explorer, and author, Reinhold Messner who was the first climber to ascend all 14 mountains over 8,000 meters (26,247 feet) and to reach the summit of Mount Everest without additional oxygen. 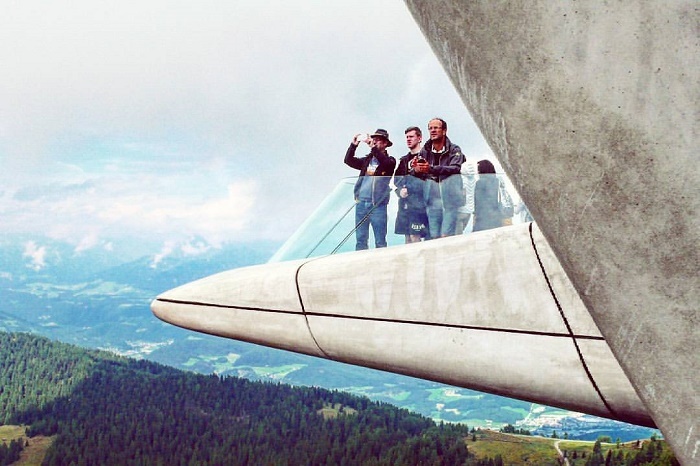 Standing at an altitude of 2,275 meters (7,464 feet) above sea level, this very futuristic museum was opened in July 2015, and the architect responsible for the impressive work is the late British-Iraqi architect Zaha Hadid, who was working together with Patrick Schumacher. 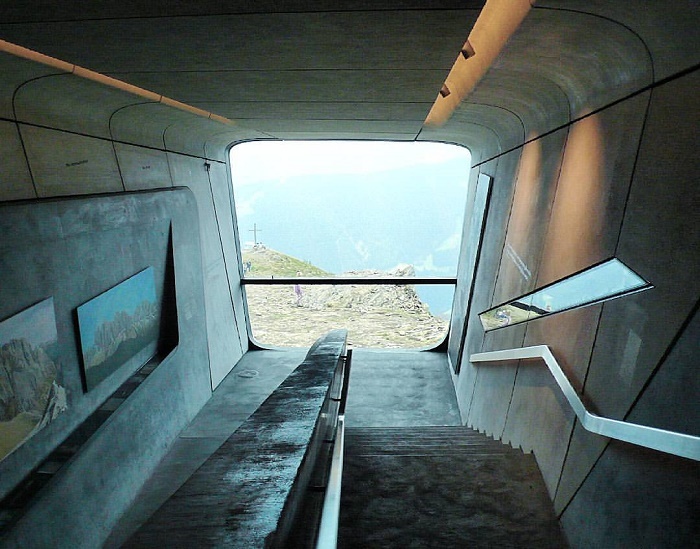 She explained the concept of the architectural work as a different experience to every visitor who would descend within the mountain to explore its caverns and grottoes, before emerging through the mountain wall on the other side, reaching the terrace that is overhanging the valley far below with a spectacular mountain views of the surrounding peaks. 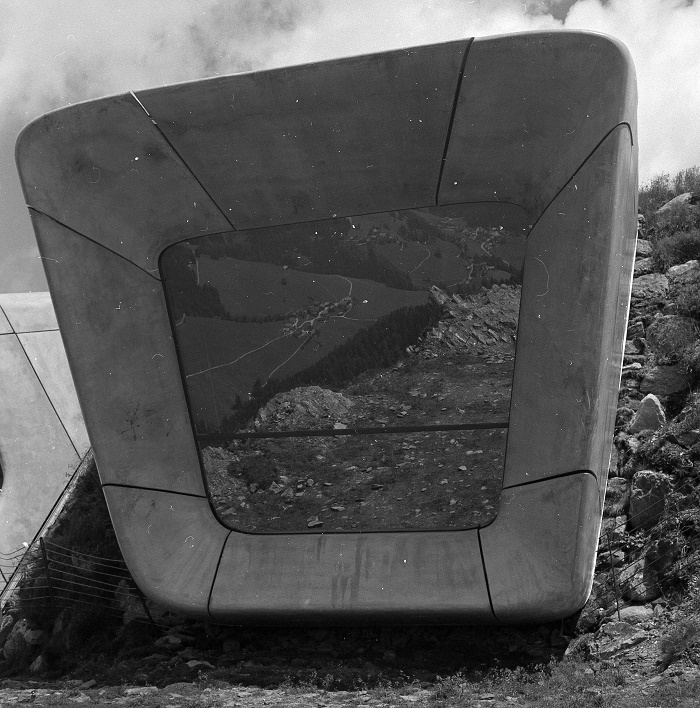 Nevertheless, the interior houses objects, images and even tools that tell the story of Messner’s life as a mountaineer, where the floor area is around 1,000 square meters (10,764 square feet). 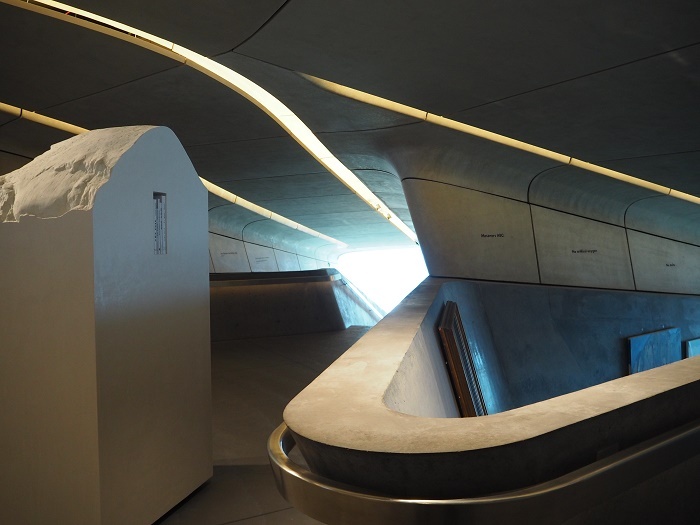 The exterior otherwise is designed to blend in with the surrounding, as Zaha Hadid decided to use cast concrete which is giving the museum the appearance of rock and ice shards, referencing the geology of the region. 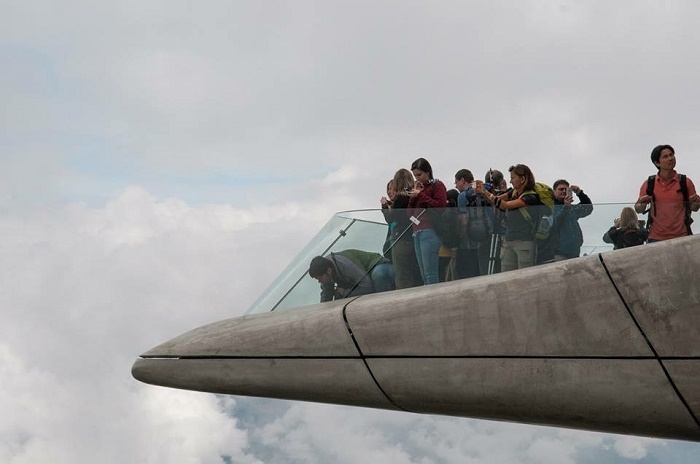 The glass-reinforced fiber concrete is somewhat lighter, compared to the interior panels which become darker, something that was intended to match the luster and tones of anthracite coal buried underground. 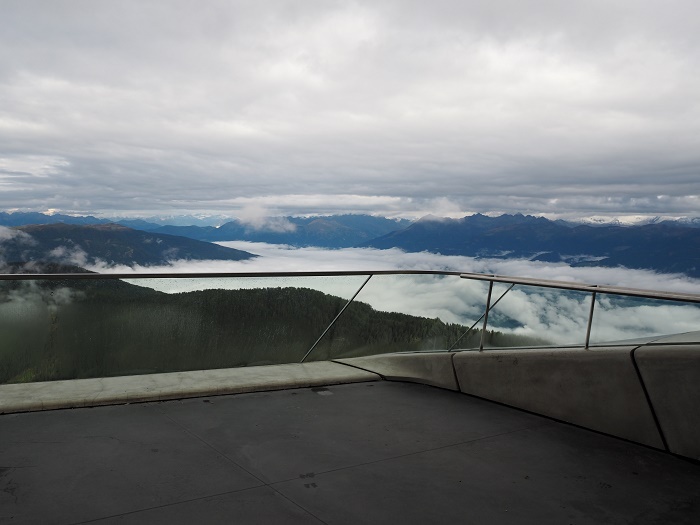 There are three floors which are connected with staircases that symbolize waterfalls in a mountain stream, where the ground floor is the place that has amazing viewing windows, and as the visitors traverse through the galleries they emerge out onto the breathtaking terrace with the alluring view of the Alps. 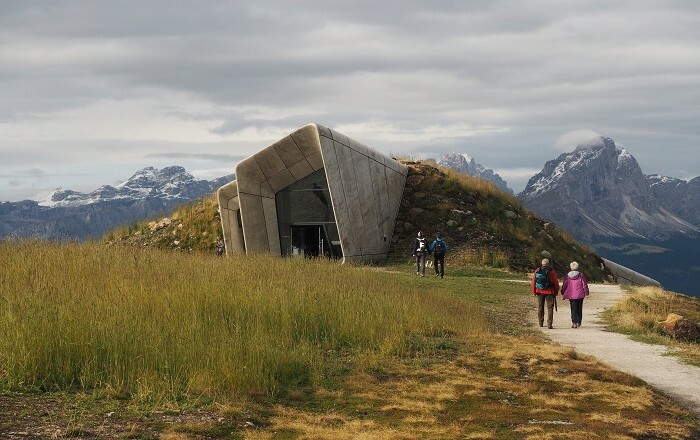 Being one of the greatest architectural masterpieces in accordance to the nature, the MMM Corones museum is definitely something that deserves to be seen in person, and also in addition to that, it will teach everyone something more about the mountaineering.